Stock up on bikes and accessories for the whole family at the TrekFest Spring Sale, going on now! Take $50 off any 2010 Trek FX orHybrid bike model, and save 10-50% off essential cyclingaccessories. But hurry, these deals won’t last. The Trek FestSpring Sale ends Sunday, April 11th. What happens when you assemble the world’s most talentedtriathletes onto one team and outfit them with the mosttechnologically advanced equipment and apparel available? You winraces. Welcome to the future of triathlete racing: TheTrek/K•Swiss Triathlon Team. Trek/K-Swiss pro Chris Lieto is the definition of fast on his Trek Speed Concept triathlon bike. Designed to help riders of all experience levels, particularlywomen, take their cross country, downhill and freeride skills tothe next level, the Trek Dirt Series will travel throughout westernNorth America providing beginner, intermediate, advanced andlocale-specific instruction at each weekend-long camp. 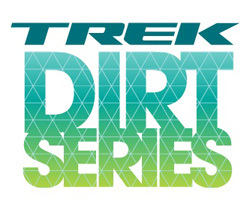 Hone your off-road skills at a Trek Dirt Series camp near you. What’s on Trek Bicycle President John Burke’s mind? Find out what it takes to be the head honcho at North America’slargest domestic manufacturer of bicycles. Trek President JohnBurke provides readers with an inside view of the bike industry,the fight for a bicycle-friendly future, and life in Wisconsin andbeyond. It’s not easy running the world’s best bike company, but someone’s gotta do it. Got questions? Your friendly local Trek retailer is the convenient source for information on all things Trek, Fisher and Bontrager. 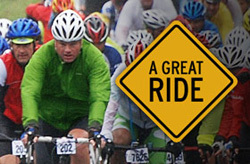 Let their friendly, knowledgeable staff help make your cycling dreams a reality. Copyright&nbsp;©2009 Trek Bicycle Corporation. All Rights Reserved.